Based on the signals received by the Inmarsat that was transmitted by the missing MH370 more than two weeks ago, there is a change of route. And this is something that puzzles everyone since we know for a fact that a plane cannot change its route when it has an arc to follow. The Inmarsat works by receiving 7 pings from the plane to the satellite in order for it to know the final destination of the plane. Planes are designed this way in order to track its position whenever there is an irregularity that happens and this is something very intriguing since the plane has been missing and unknown in position for the past two weeks. With regards to the signals received by Inmarsat, the plane has crashed thousands of miles away in the southern Indian Ocean that killed all its passengers and crews a total of 239. Even if all the communication system of the plane will stop, the plane will still transmit signals through pings every hour that indicated it as still flying after it had disappeared. The said plane’s departure area is Kuala Lumpur and its destination is Beijing. 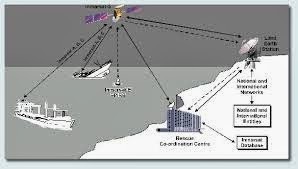 Scientists explained the use of Inmarsat in terms of Doppler effect, wherein a wave changes frequency depending on the movement of an observer. This has something to do with the satellite. They even related this “Doppler effect” to the changing of the police car siren when getting close to the observer. The findings were then passed to another satellite for checking to make sure of the veracity of the information before handing up everything to the investigator. Though there are signals transmitted to the Inmarsat, there is still a need to investigate more on the area since this is too large. This is according to Stephen Wood, EO of All Source Analysis.